A region that bubbles over with legendary names like Dom Pérignon, Veuve Clicquot, Gewürztraminer and Strasbourg. Bike past vineyards and vine-laced hillsides to the town where Napoleon enjoyed lavish soirées. Cycle along the "most expensive street in the world" and explore gothic churches and medieval forts as you wander through two of the "most beautiful villages in France." Skip a stone across the surface of the Rhine and dine at Auberge de l'Ill, a legendary Michelin three-star restaurant. 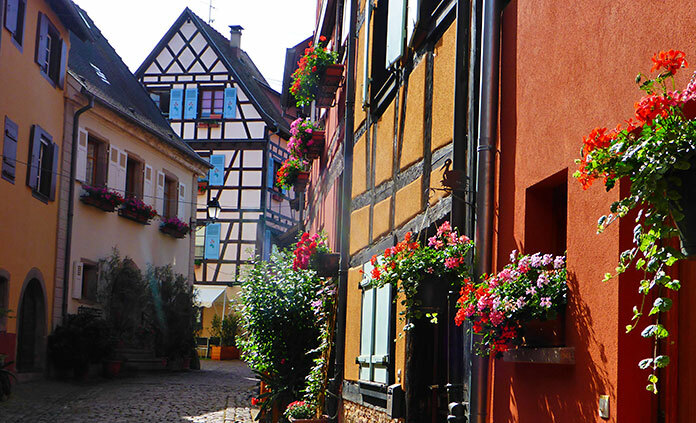 Experience life at its finest in Champagne & Alsace.